Malaria is a mosquito-borne infectious disease of humans caused by eukaryotic protists of the genus Plasmodium. It is widespread intropical and subtropical regions, including much of Sub-Saharan Africa, Asia and the Americas. Malaria is prevalent in these regions because of the significant amounts of rainfall and consistent high temperatures; warm, consistent temperatures and high humidity, along with stagnant waters in which their larvae mature, provide mosquitoes with the environment needed for continuous breeding. The cause of the disease is a protozoan, discovered in 1880 by Charles Louis Alphonse Laveran; while he was working in the military hospital inConstantine, Algeria, he observed the parasites in a blood smear taken from a patient who had just died of malaria. The disease results from the multiplication of malaria parasites within red blood cells, causing symptoms that typically include fever and headache, in severe cases progressing to coma, and death. Four species of Plasmodium can infect and be transmitted by humans. Severe disease is largely caused by Plasmodium falciparum. Malaria caused by Plasmodium vivax, Plasmodium ovale and Plasmodium malariae is generally a milder disease that is rarely fatal. A fifth species, Plasmodium knowlesi, is a zoonosis that causes malaria in macaques but can also infect humans. Malaria transmission can be reduced by preventing mosquito bites by distribution of inexpensive mosquito nets and insect repellents, or by mosquito-control measures such as spraying insecticides inside houses and draining standing water where mosquitoes lay their eggs. Although many are under development, the challenge of producing a widely available vaccine that provides a high level of protection for a sustained period is still to be met. Two drugs are also available to prevent malaria in travellers to malaria-endemic countries (prophylaxis). A variety of antimalarial medications are available. In the last 5 years, treatment of P. falciparum infections in endemic countries has been transformed by the use of combinations of drugs containing an artemisinin derivative. Severe malaria is treated with intravenous or intramuscular quinine or, increasingly, the artemisinin derivative artesunate, which is superior to quinine in both children and adults. Resistance has developed to several antimalarial drugs, most notably chloroquine. Each year, there are more than 225 million cases of malaria, killing around 781,000 people each year according to the World Health Organisation's 2010 World Malaria Report, 2.23% of deaths worldwide. The majority of deaths are of young children in sub-Saharan Africa. Ninety percent of malaria-related deaths occur in sub-Saharan Africa. Malaria is commonly associated with poverty, and can indeed be a cause of poverty and a major hindrance to economic development. Despite a clear need, no vaccine offering a high level of protection currently exists. Efforts to develop one are ongoing. Several medications are available to prevent malaria in travelers to malaria-endemic countries (prophylaxis). A variety of antimalarial medications are available. Severe malaria is treated with intravenous or intramuscular quinine or, since the mid-2000s, the artemisinin derivative artesunate, which is superior to quinine in both children and adults. Resistance has developed to several antimalarial drugs, most notably chloroquine and artemisinin. The signs and symptoms of malaria typically begin 8?25 days following infection. However, symptoms may occur later in those who have taken antimalarial medications as prevention.The presentation may include fever, shivering, arthralgia (joint pain), vomiting, hemolytic anemia, jaundice, hemoglobinuria, retinal damage, and convulsions. Approximately 30% of people however will no longer have a fever upon presenting to a health care facility.The classic symptom of malaria is cyclical occurrence of sudden coldness followed by rigor and then fever and sweating lasting about two hours or more, occurring every two days in P. vivax and P. ovale infections, and every three days for P. malariae. P. falciparum infection can cause recurrent fever every 36-48 hours or a less pronounced and almost continuous fever. For reasons that are poorly understood, but that may be related to high intracranial pressure, children with malaria frequently exhibit abnormal posturing, a sign indicating severe brain damage. Cerebral malaria is associated with retinal whitening, which may be a useful clinical sign in distinguishing malaria from other causes of fever.Severe malaria is usually caused by P. falciparum, and typically arises 6-14 days after infection. Non-falciparum species have however been found to be the cause of 14% of cases of severe malaria in some groups. Consequences of severe malaria include coma and death if untreated,young children and pregnant women are especially vulnerable. Splenomegaly (enlarged spleen), severe headache, cerebral ischemia, hepatomegaly (enlarged liver), hypoglycemia, and hemoglobinuria with renal failure may occur. Renal failure is a feature of blackwater fever, where hemoglobin from lysed red blood cells leaks into the urine. Malaria parasites are members of the genus Plasmodium (phylum Apicomplexa). In humans malaria is caused by P. falciparum, P. malariae, P. ovale, P. vivax and P. knowlesi. Among those infected P. falciparum is the most common species identified (75%) followed by P. vivax (20%). P. falciparum accounts for the majority of deaths. P. vivax proportionally is more common outside of Africa. There have been documented human infections with several species of Plasmodium from higher apes; however, with the exception of P. knowlesi, a zoonotic species that causes malaria in macaques,these are mostly of limited public health importance. The definitive hosts for malaria parasites are female mosquitoes of the Anopheles genus, which act as transmission vectors to humans and other vertebrates, the secondary hosts. Young mosquitoes first ingest the malaria parasite by feeding on an infected vertebrate carrier and the infected Anopheles mosquitoes eventually carry Plasmodium sporozoites in their salivary glands. A mosquito becomes infected when it takes a blood meal from an infected vertebrate. Once ingested, the parasite gametocytes taken up in the blood will further differentiate into male or female gametes and then fuse in the mosquito's gut. This produces an ookinete that penetrates the gut lining and produces an oocyst in the gut wall. When the oocyst ruptures, it releases sporozoites that migrate through the mosquito's body to the salivary glands, where they are then ready to infect a new human host. The sporozoites are injected into the skin, alongside saliva, when the mosquito takes a subsequent blood meal. This type of transmission is occasionally referred to as anterior station transfer.Only female mosquitoes feed on blood; male mosquitoes feed on plant nectar, and thus do not transmit the disease. The females of the Anopheles genus of mosquito prefer to feed at night. They usually start searching for a meal at dusk, and will continue throughout the night until taking a meal. Malaria parasites can also be transmitted by blood transfusions, although this is rare. Malaria recurs after treatment for three reasons. Recrudescence occurs when parasites are not cleared by treatment, whereas reinfection indicates complete clearance with new infection established from a separate infective mosquito bite; both can occur with any malaria parasite species. Relapse is specific to P. vivax and P. ovale and involves re-emergence of blood-stage parasites from latent parasites (hypnozoites) in the liver. Describing a case of malaria as cured by observing the disappearance of parasites from the bloodstream can, therefore, be deceptive. The longest incubation period reported for a P. vivax infection is 30 years. Approximately one in five of P. vivax malaria cases in temperate areas involve overwintering by hypnozoites, with relapses beginning the year after the mosquito bite. Malaria infection develops via two phases: one that involves the liver or hepatic system (exoerythrocytic), and one which involves red blood cells, or erythrocytes (erythrocytic). When an infected mosquito pierces a person's skin to take a blood meal, sporozoites in the mosquito's saliva enter the bloodstream and migrate to the liver where they infect hepatocytes, multiplying asexually and asymptomatically for a period of 8-30 days. After a potential dormant period in the liver, these organisms differentiate to yield thousands of merozoites, which, following rupture of their host cells, escape into the blood and infect red blood cells to begin the erythrocytic stage of the life cycle. The parasite escapes from the liver undetected by wrapping itself in the cell membrane of the infected host liver cell.Within the red blood cells, the parasites multiply further, again asexually, periodically breaking out of their hosts to invade fresh red blood cells. Several such amplification cycles occur. Thus, classical descriptions of waves of fever arise from simultaneous waves of merozoites escaping and infecting red blood cells. Some P. vivax sporozoites do not immediately develop into exoerythrocytic-phase merozoites, but instead produce hypnozoites that remain dormant for periods ranging from several months (6-12 months is typical) to as long as three years. After a period of dormancy, they reactivate and produce merozoites. Hypnozoites are responsible for long incubation and late relapses in P. vivax infections, although their existence in P. ovale is uncertain.The parasite is relatively protected from attack by the body's immune system because for most of its human life cycle it resides within the liver and blood cells and is relatively invisible to immune surveillance. However, circulating infected blood cells are destroyed in the spleen. To avoid this fate, the P. falciparum parasite displays adhesive proteins on the surface of the infected blood cells, causing the blood cells to stick to the walls of small blood vessels, thereby sequestering the parasite from passage through the general circulation and the spleen. The blockage of the microvasculature causes symptoms such as in placental and cerebral malaria. In cerebral malaria the sequestrated red blood cells can breach the blood-brain barrier possibly leading to coma.Although the red blood cell surface adhesive proteins (called PfEMP1, for P. falciparum erythrocyte membrane protein 1) are exposed to the immune system, they do not serve as good immune targets, because of their extreme diversity; there are at least 60 variations of the protein within a single parasite and even more variants within whole parasite populations. The parasite switches between a broad repertoire of PfEMP1 surface proteins, thus staying one step ahead of the pursuing immune system.Some merozoites turn into male and female gametocytes. If a mosquito pierces the skin of an infected person, it potentially picks up gametocytes within the blood. Fertilization and sexual recombination of the parasite occurs in the mosquito's gut. New sporozoites develop and travel to the mosquito's salivary gland, completing the cycle. Pregnant women are especially attractive to the mosquitoes, and malaria in pregnant women is an important cause of stillbirths, infant mortality and low birth weight, particularly in P. falciparum infection, but also in other species infection, such as P. vivax. Due to the high levels of mortality and morbidity caused by malaria?especially the P. falciparum species,it is thought to have placed the greatest selective pressure on the human genome in recent history. Several diseases may provide some resistance to it including sickle cell disease, thalassaemias, glucose-6-phosphate dehydrogenase deficiency as well as the presence of Duffy antigens on the subject's red blood cells. The impact of sickle cell anemia on malaria immunity is of particular interest. Sickle cell anemia causes a defect to the hemoglobin molecule in the blood. Instead of retaining the biconcave shape of a normal red blood cell, the modified hemoglobin S molecule causes the cell to sickle or distort into a curved shape. Due to the sickle shape, the molecule is not as effective in taking or releasing oxygen, and therefore malaria parasites cannot complete their life cycle in the cell. Individuals who are homozygous for sickle cell anemia seldom survive this defect, while those who are heterozygous experience immunity to the disease. Although the potential risk of death for those with the homozygous condition seems to be unfavorable to population survival, the trait is preserved because of the benefits provided by the heterozygous form. Hepatic dysfunction as a result of malaria is rare and is usually a result of a coexisting liver condition such as viral hepatitis and chronic liver disease. Hepatitis, which is characterized by inflammation of the liver, is not actually present in what is called malarial hepatitis; the term as used here invokes the reduced liver function associated with severe malaria. While traditionally considered a rare occurrence, malarial hepatopathy has seen an increase in malaria endemic areas, particularly in Southeast Asia and India. Liver compromise in people with malaria correlates with a greater likelihood of complications and death. Malaria is typically diagnosed by the microscopic examination of blood using blood films or using antigen-based rapid diagnostic tests. Rapid diagnostic tests that detect P. vivax are not as effective as those targeting P. falciparum. They also are unable to tell how many parasites are present. Areas that cannot afford laboratory diagnostic tests often use only a history of subjective fever as the indication to treat for malaria. Polymerase chain reaction based tests have been developed, though these are not widely implemented in malaria-endemic regions as of 2012, due to their complexity. Malaria is divided into severe and uncomplicated by the World Health Organization (WHO). Severe malaria is diagnosed when any of the following criteria are present, otherwise it is considered uncomplicated. Decreased consciousness Significant weakness such that the person is unable to walk Inability to feed Two or more convulsions Low blood pressure (less than 70 mmHg in adults or 50 mmHg in children) Breathing problems Circulatory shock Kidney failure or hemoglobin in the urine Bleeding problems, or hemoglobin less than 5 g/dl Pulmonary edema Low blood glucose (less than 2.2 mmol/l / 40 mg/dl) Acidosis or lactate levels of greater than 5 mmol/l A parasite level in the blood of greater than 2%. Methods used to prevent malaria include medications, mosquito eradication and the prevention of bites. The presence of malaria in an area requires a combination of high human population density, high mosquito population density and high rates of transmission from humans to mosquitoes and from mosquitoes to humans. If any of these is lowered sufficiently, the parasite will eventually disappear from that area, as happened in North America, Europe and much of the Middle East. However, unless the parasite is eliminated from the whole world, it could become re-established if conditions revert to a combination that favours the parasite's reproduction. Many countries are seeing an increasing number of imported malaria cases owing to extensive travel and migration.Many researchers argue that prevention of malaria may be more cost-effective than treatment of the disease in the long run, but the capital costs required are out of reach of many of the world's poorest people. There is a wide disparity in the costs of control (i.e. maintenance of low endemicity) and elimination programs between countries. For example, in China,whose government in 2010 announced a strategy to pursue malaria elimination in the Chinese provinces,the required investment is a small proportion of public expenditure on health. In contrast, a similar program in Tanzania would cost an estimated one-fifth of the public health budget. Several drugs, most of which are used for treatment of malaria, can be taken preventively. Chloroquine may be used where the parasite is still sensitive. However, due to resistance one of three medications?mefloquine (Lariam), doxycycline (available generically), or the combination of atovaquone and proguanil hydrochloride (Malarone)?is frequently needed. Doxycycline and the atovaquone and proguanil combination are the best tolerated; mefloquine is associated with higher rates of neurological and psychiatric symptoms.The prophylactic effect does not begin immediately upon starting the drugs, so people temporarily visiting malaria-endemic areas usually begin taking the drugs one to two weeks before arriving and should continue taking them for four weeks after leaving (with the exception of atovaquone proguanil that only needs to be started two days prior and continued for seven days afterwards). Generally, these drugs are taken daily or weekly, at a lower dose than is used for treatment of a person who contracts the disease. Use of prophylactic drugs is seldom practical for full-time residents of malaria-endemic areas, and their use is usually restricted to short-term visitors and travelers to malarial regions. This is due to the cost of purchasing the drugs, negative adverse effects from long-term use, and because some effective anti-malarial drugs are difficult to obtain outside of wealthy nations. The use of prophylactic drugs where malaria-bearing mosquitoes are present may encourage the development of partial immunity. Efforts to eradicate malaria by eliminating mosquitoes have been successful in some areas. Malaria was once common in the United States and southern Europe, but vector control programs, in conjunction with the monitoring and treatment of infected humans, eliminated it from those regions. In some areas, the draining of wetland breeding grounds and better sanitation were adequate. Malaria was eliminated from most parts of the USA in the early 20th century by such methods, and the use of the pesticide DDT and other means eliminated it from the remaining pockets in the South by 1951.Before DDT, malaria was successfully eradicated or controlled in tropical areas like Brazil and Egypt by removing or poisoning the breeding grounds of the mosquitoes or the aquatic habitats of the larva stages, for example by applying the highly toxic arsenic compound Paris Green to places with standing water. This method has seen little application in Africa for more than half a century.A more targeted and ecologically friendly vector control strategy involves genetic manipulation of malaria mosquitoes. Advances in genetic engineering technologies make it possible to introduce foreign DNA into the mosquito genome and either decrease the lifespan of the mosquito, or make it more resistant to the malaria parasite. Sterile insect technique is a genetic control method whereby large numbers of sterile males mosquitoes are reared and released. Mating with wild females reduces the wild population in the subsequent generation; repeated releases eventually eradicate the target population. Progress towards transgenic, or genetically modified, insects suggests that wild mosquito populations could be made malaria resistant. Successful replacement of current populations with a new genetically modified population relies upon a drive mechanism, such as transposable elements to allow for non-Mendelian inheritance of the gene of interest. Although this approach has been used successfully to eradicate some parasitic diseases of veterinary importance, technological problems have hindered its effective deployment with malaria vector species. Indoor residual spraying (IRS) is the practice of spraying insecticides on the interior walls of homes in malaria-affected areas. After feeding, many mosquito species rest on a nearby surface while digesting the bloodmeal, so if the walls of dwellings have been coated with insecticides, the resting mosquitos will be killed before they can bite another victim and transfer the malaria parasite.The first pesticide used for IRS was DDT. Although it was initially used exclusively to combat malaria, its use quickly spread to agriculture. In time, pest control, rather than disease control, came to dominate DDT use, and this large-scale agricultural use led to the evolution of resistant mosquitoes in many regions. The DDT resistance shown by Anopheles mosquitoes can be compared to antibiotic resistance shown by bacteria. The overuse of antibacterial soaps and antibiotics led to antibiotic resistance in bacteria, similar to how overspraying of DDT on crops led to DDT resistance in Anopheles mosquitoes. During the 1960s, awareness of the negative consequences of its indiscriminate use increased, ultimately leading to bans on agricultural applications of DDT in many countries in the 1970s. Since the use of DDT has been limited or banned for agricultural use for some time, DDT may now be more effective as a method of disease-control.Although DDT has never been banned for use in malaria control and there are several other insecticides suitable for IRS, Robert Gwadz of the National Institutes of Health said in 2007 that bans are responsible for tens of millions of deaths in tropical countries where DDT had once been effective in controlling malaria. Furthermore, most of the problems associated with DDT use stem specifically from its industrial-scale application in agriculture, rather than its use in public health. The World Health Organization currently advises the use of 12 insecticides in IRS operations, including DDT as well as alternative insecticides (such as the pyrethroids permethrin and deltamethrin). This public health use of small amounts of DDT is permitted under the Stockholm Convention on Persistent Organic Pollutants (POPs), which prohibits the agricultural use of DDT. However, because of its legacy, many developed countries previously discouraged DDT use even in small quantities. One problem with all forms of IRS is insecticide resistance via evolution. Mosquito that are affected by IRS tend to rest and live indoors, and due to the irritation caused by spraying, their descendants tend to rest and live outdoors, meaning that they are not as affected?if affected at all,by the IRS, which greatly reduces its effectiveness as a defense mechanism. Mosquito nets help keep mosquitoes away from people and significantly reduce infection rates and transmission of malaria. The nets are not a perfect barrier and they are often treated with an insecticide designed to kill the mosquito before it has time to search for a way past the net. Insecticide-treated nets (ITNs) are estimated to be twice as effective as untreated nets and offer greater than 70% protection compared with no net. Although ITNs are proven to be very effective against malaria, only about 13% of households in sub-Saharan countries own them. Since the Anopheles mosquitoes feed at night, the preferred method is to hang a large "bed net" above the center of a bed to drape over it completely. Community participation and health education strategies promoting awareness of malaria and the importance of control measures have been successfully used to reduce the incidence of malaria in some areas of the developing world. Recognizing the disease in the early stages can stop the disease from becoming fatal. Education can also inform people to cover over areas of stagnant, still water, such as water tanks that are ideal breeding grounds for the parasite and mosquito, thus cutting down the risk of the transmission between people. This is generally used in urban areas where there are large centers of population in a confined space and transmission would be most likely in these areas. Other interventions for the control of malaria include mass drug administrations and intermittent preventive therapy. When properly treated, people with malaria can usually expect a complete recovery. The treatment depends on the severity of the disease; whether people can take oral drugs or must be admitted depends on the assessment and the experience of the clinician. Uncomplicated malaria may be treated with oral medications. The most effective strategy for P. falciparum infection is the use of artemisinins in combination with other antimalarials (known as artemisinin-combination therapy). This is done to reduce the risk of resistance against artemisinin. These additional antimalarials include amodiaquine, lumefantrine, mefloquine or sulfadoxine/pyrimethamine. Another recommended combination is dihydroartemisinin and piperaquine. Recently, malaria with partial resistance to artemisins has occurred in Southeast Asia. Severe malaria requires the parenteral administration of antimalarial drugs. Until the mid-2000s the most used treatment for severe malaria was quinine, but artesunate has been shown to be superior to quinine in both children and adults. Treatment of severe malaria also involves supportive measures. Infection with P. vivax, P. ovale or P. malariae is usually treated on an outpatient basis (while a person is at home). Treatment of P. vivax requires both treatment of blood stages (with chloroquine or ACT) as well as clearance of liver forms with primaquine. Severe malaria can progress extremely rapidly and cause death within hours or days. In the most severe cases of the disease, fatality rates can reach 20%, even with intensive care and treatment. Over the longer term, developmental impairments have been documented in children who have suffered episodes of severe malaria. It causes widespread anemia during a period of rapid brain development and also direct brain damage. This neurologic damage results from cerebral malaria to which children are more vulnerable. The WHO estimates that there were 216 million cases of malaria in 2010 resulting in 655,000 deaths. An estimate in The Lancet places the number of deaths in 2010 higher at 1.24 million. The majority of cases occur in children under five years old; pregnant women are also especially vulnerable. Despite efforts to reduce transmission and increase treatment, there has been little change in which areas are at risk of this disease since 1992. Indeed, if the prevalence of malaria stays on its present upwards course, the death rate could double in the next twenty years. Precise statistics are unknown because many cases occur in rural areas where people do not have access to hospitals or the means to afford health care. As a consequence, the majority of cases are undocumented. Although coinfection with HIV and malaria does increase mortality, this is less of a problem than with HIV/tuberculosis coinfection, due to the two diseases usually attacking different age ranges, with malaria being most common in the young and active tuberculosis most common in the old. Although HIV/malaria coinfection produces less severe symptoms than the interaction between HIV and TB, HIV and malaria do contribute to each other's spread. This effect comes from malaria increasing viral load and HIV infection increasing a person's susceptibility to malaria infection. Malaria is presently endemic in a broad band around the equator, in areas of the Americas, many parts of Asia, and much of Africa; however, it is in sub-Saharan Africa where 85-90% of malaria fatalities occur. The geographic distribution of malaria within large regions is complex, and malaria-afflicted and malaria-free areas are often found close to each other. Malaria is prevalent in tropical regions because of the significant amounts of rainfall, consistent high temperatures and high humidity, along with stagnant waters in which mosquito larvae readily mature, providing them with the environment they need for continuous breeding. In drier areas, outbreaks of malaria have been predicted with reasonable accuracy by mapping rainfall. Malaria is more common in rural areas than in cities; this is in contrast to dengue fever where urban areas present the greater risk. For example, several cities in Vietnam, Laos and Cambodia are essentially malaria-free, but the disease is present in many rural regions. By contrast, in Africa malaria is present in both rural and urban areas, though the risk is lower in the larger cities. The global endemic levels of malaria have not been mapped since the 1960s. However, the Wellcome Trust, UK, has funded the Malaria Atlas Project to rectify this, providing a more contemporary and robust means with which to assess current and future malaria disease burden. As of 2010, countries with the highest death rate per 100,000 population are Cote d'Ivoire with (86.15), Angola (56.93) and Burkina Faso (50.66) all in Africa. A map of Plasmodium falciparum endemicity in 2010 has been published. Malaria has infected humans for over 50,000 years, and Plasmodium may have been a human pathogen for the entire history of the species. Close relatives of the human malaria parasites remain common in chimpanzees. Some new evidence suggests that the most virulent strain of human malaria may have originated in gorillas. References to the unique periodic fevers of malaria are found throughout recorded history, beginning in 2700 BC in China. Malaria may have contributed to the decline of the Roman Empire, and was so pervasive in Rome that it was known as the "Roman fever". Several regions in ancient Rome were considered at-risk for the disease because of the favorable conditions present for malaria vectors. This included areas such as southern Italy, the island of Sardinia, the Pontine Marshes, the lower regions of coastal Etruria and the city of Rome along the Tiber River. The presence of stagnant water in these places was preferred by mosquitoes for breeding grounds. Irrigated gardens, swamp-like grounds, runoff from agriculture, and drainage problems from road construction led to the increase of standing water. The term malaria originates from Medieval Italian: mala aria - "bad air"; the disease was formerly called ague or marsh fever due to its association with swamps and marshland. Malaria was once common in most of Europe and North America, where it is no longer endemic, though imported cases do occur. Malaria was the most important health hazard encountered by U.S. troops in the South Pacific during World War II, where about 500,000 men were infected. According to Joseph Patrick Byrne, "Sixty thousand American soldiers died of malaria during the African and South Pacific campaigns." Scientific studies on malaria made their first significant advance in 1880, when a French army doctor working in the military hospital of Constantine in Algeria named Charles Louis Alphonse Laveran observed parasites for the first time, inside the red blood cells of people suffering from malaria. He therefore proposed that malaria is caused by this organism, the first time a protist was identified as causing disease. For this and later discoveries, he was awarded the 1907 Nobel Prize for Physiology or Medicine. The malarial parasite was called Plasmodium by the Italian scientists Ettore Marchiafava and Angelo Celli. A year later, Carlos Finlay, a Cuban doctor treating people with yellow fever in Havana, provided strong evidence that mosquitoes were transmitting disease to and from humans. This work followed earlier suggestions by Josiah C. Nott, and work by Sir Patrick Manson, the "father of tropical medicine", on the transmission of filariasis.In April 1894, a Scottish physician Sir Ronald Ross visited Sir Patrick Manson at his house on Queen Anne Street, London. This visit was the start of four years of collaboration and fervent research that culminated in 1898 when Ross, who was working in the Presidency General Hospital in Calcutta, proved the complete life-cycle of the malaria parasite in mosquitoes. He thus proved that the mosquito was the vector for malaria in humans by showing that certain mosquito species transmit malaria to birds. He isolated malaria parasites from the salivary glands of mosquitoes that had fed on infected birds. For this work, Ross received the 1902 Nobel Prize in Medicine. After resigning from the Indian Medical Service, Ross worked at the newly established Liverpool School of Tropical Medicine and directed malaria-control efforts in Egypt, Panama, Greece and Mauritius. The findings of Finlay and Ross were later confirmed by a medical board headed by Walter Reed in 1900. Its recommendations were implemented by William C. Gorgas in the health measures undertaken during construction of the Panama Canal. This public-health work saved the lives of thousands of workers and helped develop the methods used in future public-health campaigns against the disease. The first effective treatment for malaria came from the bark of cinchona tree, which contains quinine. This tree grows on the slopes of the Andes, mainly in Peru. The indigenous peoples of Peru made a tincture of cinchona to control malaria. The Jesuits noted the efficacy of the practice and introduced the treatment to Europe during the 1640s, where it was rapidly accepted. It was not until 1820 that the active ingredient, quinine, was extracted from the bark, isolated and named by the French chemists Pierre Joseph Pelletier and Joseph Bienaim-Caventou. Quinine become the predominant malarial medication until the 1920s, when other medications began to be developed. In the 1940s, chloroquine replaced quinine as the treatment of both uncomplicated and severe falciparum malaria until resistance supervened, first in Southeast Asia and South America in the 1950s and then globally in the 1980s. Artemisinins, discovered by Chinese scientists in the 1970s, are now the recommended treatment for falciparum malaria, administered in combination with other antimalarials as well as in severe disease. Malaria is not just a disease commonly associated with poverty but also a cause of poverty and a major hindrance to economic development. Tropical regions are affected most; however, malaria's furthest extent reaches into some temperate zones with extreme seasonal changes. The disease has been associated with major negative economic effects on regions where it is widespread. During the late 19th and early 20th centuries, it was a major factor in the slow economic development of the American southern states. A comparison of average per capita GDP in 1995, adjusted for parity of purchasing power, between countries with malaria and countries without malaria gives a fivefold difference ($1,526 USD versus $8,268 USD). In countries where malaria is common, average per capita GDP has risen (between 1965 and 1990) only 0.4% per year, compared to 2.4% per year in other countries. Poverty is both a cause and effect of malaria, since the poor do not have the financial capacities to prevent or treat the disease. In its entirety, the economic impact of malaria has been estimated to cost Africa $12 billion USD every year. The economic impact includes costs of health care, working days lost due to sickness, days lost in education, decreased productivity due to brain damage from cerebral malaria, and loss of investment and tourism. In some countries with a heavy malaria burden, the disease may account for as much as 40% of public health expenditure, 30-50% of admissions to hospital, and up to 50% of outpatient visits. The slow demographic transition in Africa may be partly attributed to malaria. Total fertility rates were best explained by child mortality, as measured indirectly by infant mortality, in a 2007 study. A study on the effect of malaria on IQ in a sample of Mexicans found that exposure during the birth year to malaria eradication was associated with increases in IQ. It also increased the probability of employment in a skilled occupation. The author suggests that this may be one explanation for the Flynn effect and that this may be an important explanation for the link between national malaria burden and economic development. The cognitive abilities and school performance are impaired in sub-groups of people (with either cerebral malaria or uncomplicated malaria) when compared with healthy controls. Studies comparing cognitive functions before and after treatment for acute malarial illness continued to show significantly impaired school performance and cognitive abilities even after recovery. Malaria prophylaxis was shown to improve cognitive function and school performance in clinical trials when compared to placebo groups. April 25 is World Malaria Day. Sophisticated counterfeits have been found in several Asian countries such as Cambodia, China, Indonesia, Laos, Thailand, and Vietnam, and are an important cause of avoidable death in those countries. The WHO said that studies indicate that up to 40% of artesunate based malaria medications are counterfeit, especially in the Greater Mekong region and have established a rapid alert system to enable information about counterfeit drugs to be rapidly reported to the relevant authorities in participating countries. There is no reliable way for doctors or lay people to detect counterfeit drugs without help from a laboratory. Companies are attempting to combat the persistence of counterfeit drugs by using new technology to provide security from source to distribution. Another clinical and public health concern is the proliferation of substandard antimalarial medicines resulting from inappropriate concentration of ingredients, contamination with other drugs or toxic impurities, poor quality ingredients, poor stability and inadequate packaging. A 2012 study demonstrated that roughly one-third of antimalarial medications in Southeast Asia and Sub-Saharan Africa failed chemical analysis, packaging analysis, or were falsified. Throughout history, the contraction of malaria (via natural outbreaks as well as via infliction of the disease as a biological warfare agent) has played a prominent role in the fortunes of government rulers, nation-states, military personnel, and military actions. "Malaria Site: History of Malaria During Wars" addresses the devastating impact of malaria in numerous well-known conflicts, beginning in June 323 B.C. That site's authors note: "Many great warriors succumbed to malaria after returning from the warfront and advance of armies into continents was prevented by malaria. In many conflicts, more troops were killed by malaria than in combat." The Centers for Disease Control ("CDC") traces the history of malaria and its impacts farther back, to 2700 BCE. In 1910, Nobel Prize in Medicine-winner Ronald Ross (himself a malaria survivor), published a book titled The Prevention of Malaria that included a chapter titled "The Prevention of Malaria in War." The chapter's author, Colonel C. H. Melville, Professor of Hygiene at Royal Army Medical College in London, addressed the prominent role that malaria has historically played during wars and advised: "A specially selected medical officer should be placed in charge of these operations with executive and disciplinary powers ." Significant financial investments have been made to procure existing and create new anti-malarial agents. During World War I and World War II, the supplies of the natural anti-malaria drugs, cinchona bark and quinine, proved to be inadequate to supply military personnel and substantial funding was funneled into research and development of other drugs and vaccines. American military organizations conducting such research initiatives include the Navy Medical Research Center, Walter Reed Army Institute of Research, and the U.S. Army Medical Research Institute of Infectious Diseases of the US Armed Forces. Additionally, initiatives have been founded such as Malaria Control in War Areas (MCWA), established in 1942, and its successor, the Communicable Disease Center (now known as the Centers for Disease Control) established in 1946. According to the CDC, MCWA "was established to control malaria around military training bases in the southern United States and its territories, where malaria was still problematic" and, during these activities, to "train state and local health department officials in malaria control techniques and strategies." The CDC's Malaria Division continued that mission, successfully reducing malaria in the United States, after which the organization expanded its focus to include "prevention, surveillance, and technical support both domestically and internationally." Several notable attempts are being made to eliminate the parasite from sections of the world, or to eradicate it worldwide. In 2006, the organization Malaria No More set a public goal of eliminating malaria from Africa by 2015, and the organization plans to dissolve if that goal is accomplished. Several malaria vaccines are in clinical trials, which are intended to provide protection for children in endemic areas and reduce the speed of transmission of the disease. As of 2012, The Global Fund to Fight AIDS, Tuberculosis and Malaria has distributed 230 million insecticide-treated nets intended to stop mosquito-born transmission of malaria. According to director Inder Singh, the U.S.-based Clinton Foundation has significantly reduced the cost of drugs to treat malaria, and is working to further reduce the spread of the disease. Other efforts, such as the Malaria Atlas Project focus on analyzing climate and weather information required to accurately predict the spread of malaria based on the availability of habitat of malaria-carrying parasites. Malaria has been successfully eradicated in certain areas. The Republic of Mauritius, a tropical island located in the western Indian Ocean, considered ecological connections to malaria transmission when constructing their current plan for malaria control. To prevent mosquitoes from breeding in aquatic areas, DDT is used in moderate amounts. Additionally, larvae-eating fish are placed in water sources to remove the malaria vectors before they become a threat to the human population. Obstructions are also removed from these sources to maintain water flow and reduce stagnant water. Similarly, marsh or swamp-like environments are drained and filled to diminish mosquito breeding grounds. These actions have produced positive results. The program has cut infection and death rates tremendously, and is cost effective, only requiring $1USD per head each year. This success is a clear indication that responses to adverse environmental conditions can decrease rates of disease. With the onset of drug-resistant Plasmodium parasites, new strategies are required to combat the widespread disease. One such approach lies in the introduction of synthetic pyridoxal-amino acid adducts, which are channeled into the parasite. Thus, trapped upon phosphorylation by plasmodial PdxK (pyridoxine/pyridoxal kinase), the proliferation of Plasmodium parasites is effectively hindered by a novel compound, PT3, a cyclic pyridoxyl-tryptophan methyl ester, without harming human cells.Malaria parasites contain apicoplasts, an organelle usually found in plants, complete with their own functioning genomes. These apicoplasts are thought to have originated through the endosymbiosis of algae and play a crucial role in various aspects of parasite metabolism, for example in fatty acid biosynthesis. As of 2003, 466 proteins have been found to be produced by apicoplasts and these are now being investigated as possible targets for novel anti-malarial drugs. Malaria vaccines have been an elusive goal of research. The first promising studies demonstrating the potential for a malaria vaccine were performed in 1967 by immunizing mice with live, radiation-attenuated sporozoites, which provided significant protection to the mice upon subsequent injection with normal, viable sporozoites. Since the 1970s, there has been a considerable effort to develop similar vaccination strategies within humans. It was determined that an individual can be protected from a P. falciparum infection if they receive over 1,000 bites from infected yet irradiated mosquitoes. Immunity (or, more accurately, tolerance) does occur naturally, but only in response to repeated infection with multiple strains of malaria. A completely effective vaccine is not yet available for malaria, although several vaccines are under development. SPf66 was tested extensively in endemic areas in the 1990s, but clinical trials showed it to be insufficiently effective. Other vaccine candidates, targeting the blood-stage of the parasite's life cycle, have also been insufficient on their own. Several potential vaccines targeting the pre-erythrocytic stage are being developed, with RTS,S showing the most promising results so far. 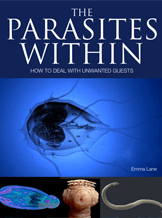 Parasitic Plasmodium species also infect birds, reptiles, monkeys, chimpanzees and rodents.